Add another US jurisdiction to the list of such that have conducted online-gambling investigations that have led to a seizure of funds. 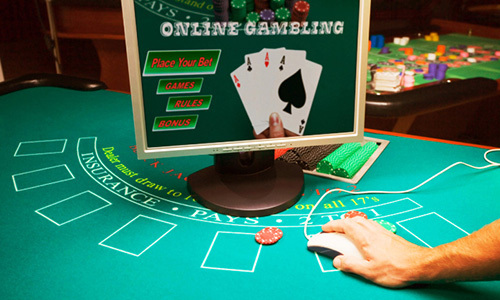 In this case it’s the State of Washington, where playing online-poker has been a felony for almost a decade, but where various online gamblers and sports bettors still find occasional ways to partake of a wager or two on occasion. A 2015 seizure of $3.4 million related to offshore, US-facing site BetUS.com figures as the entry point of a feature published on Sunday by Seattle’s Post-Intelligencer. One learns, soon enough, that authorities in Western Washington have seized at least $21 million as a result of online-gambling investigations in 2015 alone, not a whiff of which had become public until just recently. According to the PI feature, an unnamed “undercover” detective succeeded in opening an account on BetUS back in 2011. The incognito player wagered a bit, then initiated a cashout, and when a check arrived, investigators traced back to the processing company, a British entity called Thames Point Management, Ltd., and to multiple bank accounts linked to the processing. “On July 19, 2011, investigators seized seven bank accounts holding a total of $3.4 million. Federal prosecutors filed a forfeiture action three years later claiming the money was related to unlawful activity. “A certified letter was sent to Thames Point. Prosecutors didn’t hear back. Thames Point and the man who appears to be the principle operator of the company, Ian van Stratum, never contested the seizure order that followed. Van Stratum, a Dutch national living in London, continues to own and operate a domain at thamespoint.net, even though the corporate entity was officially disbanded in the UK in 2013, perhaps as a result of the Washington State proceeding. No Internet front page exists for the domain, which appears to be used to house a mail server only. (It turns out that Van Stratum has plenty of ties to the shadowy world of international finance, and he even turns up in an unrelated online investigation into one of many stories connected to the infamous “Panama Papers” leaks.) Van Stratum, however, isn’t really the story. That’s of course, true, regarding the WTO stuff, but also something of a digression. The more important fact is the tacit confirmation that Bodog was indeed hit by the Washington seizure orders, for an unspecified amount. Nor are such US-based seizures likely to end any time soon. The whack-a-mole game involving the US market has gone on for well over a decade, while the consumer demand for online betting is stronger than ever. Offshore firms such as Bovada likely use massive redundancy in their processing methods, reducing exposure, and indeed chalking up such seizures as a cost of doing business. It’s also interesting to note that the Seattle PI’s ability to uncover court documents connected to the Thames Point and Axia FX investigations opens the door into the Washington crackdowns only part way. The $3.4 million seized in connection with Thames Point leaves $17.5 million in 2015 seizures unpublicized, since the Axia FX case is still n progress. There’s more to this, somewhere. Further, neither of the two UK firms, nor the principles behind the companies, such as van Stratum, appear in search results of federal court-records databases. That suggests that even as these investigations are ongoing, many of the indictments related to them are sealed.